Do you dream of catching that giant Bass or those plate sized Bluegill? Whatever your fisheries goals are, let me help you manage your dream fishery. ﻿﻿- Have a new pond and want to stock it full of your favorite fish? I’ll help you with a stocking plan to make sure there is the right number of prey fish stocked with the appropriate number of predator species. I will also adjust the stocking to your specific goals for your fishery, such as growing huge Largemouth Bass or maybe you like to catch those giant Bluegills. We can also do supplemental stockings of an existing pond to further help meet your goals. With live haul transport tanks, we can come in an﻿﻿d stock new ponds or restock existing ponds. Stocking rates can vary depending on your specific goals. I do not raise my own fish but buy from trusted and qualified fish hatcheries. - There are many methods of fish sampling out there and we will use the one that is right for your pond, budget, desired species and size to be sampled, and your goals. We use seining, trap netting, hook and line, jug sets and electro-fishing. 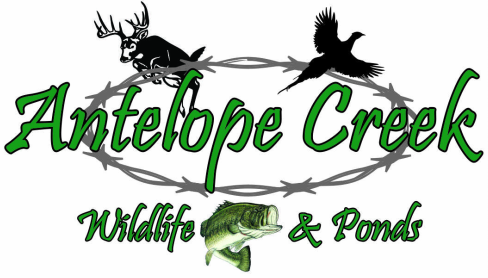 - Once your pond is stocked and/or sampled, I can write up a management plan to meet the specific goals of your fishery and pond. This plan can be implemented on either a new pond or even an existing pond that you have been fishing for years but maybe you have changed your goals for the pond. To inquire about aeration systems or beneficial microbes call, email or click below for more product information.